FREE Doormat when you buy the Matching Runner. 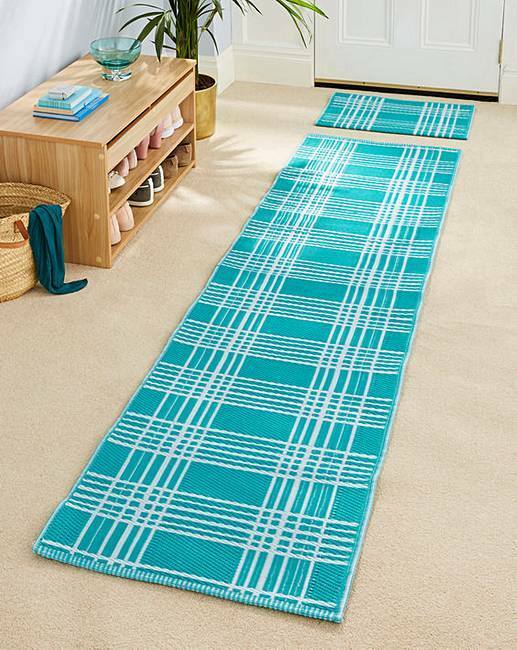 A classic check is the perfect complement to any décor, but these runners are more than just good-looking. Tightly woven from dependable and durable polypropylene to repel both dirt and water, they will protect your hallway flooring and carpets, and simply vacuum clean!